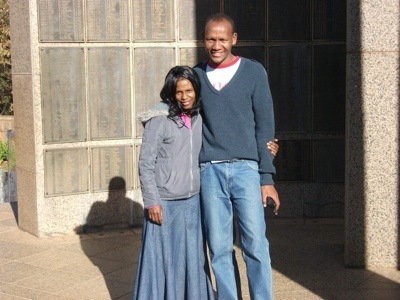 The preparation for our visit to our brothers in the lord in Pretoria went ahead with great excitement my wife Thabi and I got up earlier to prepare food for the road. Thabi baked steam pudding and I killed a chicken ” road runner ” for Mujuru because the time when they had visited us he said ” I like road runners ” , so then Gogo gave it to us to give to him. We thank God who made it possible for us to visit our brothers there. 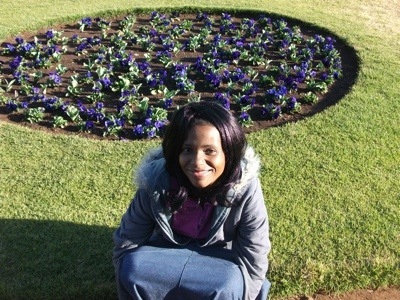 At 10:00 we took a taxi from our place to Vryheid to ride a Greyhound bus to Pretoria. We arrived there at about 10:30 pm. 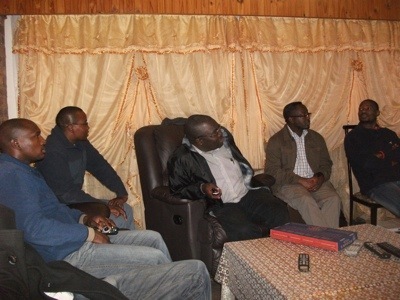 We find our brother Mujuru and Abel waiting for us in the bus station, then afterwards brother Clayton joined us. They drove us to brother Kingsley’s place we got there nearly about 11.30pm because it was a long journey then they gave us food and we prayed together and we went to bed. The next day we spend with Kingsley wife and their little girl. In the afternoon 5.00 pm we started our bible study, Clayton was leading we did the book of Colossians , it went well and we have meal together. At Kingsley place we spend two nights and we went to Abel’s place in the afternoon we did another bible study we looked on the book of Numbers. At that time we were at Clayton’s house everybody was sharing about what it means to us and what are we going to do. After that we had a meal together then Karapo drove us to Abel’s house. 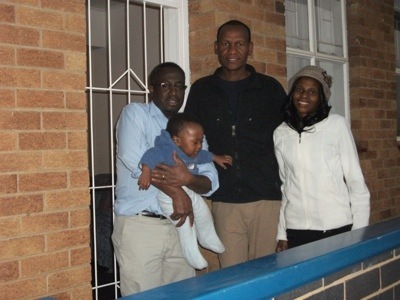 We slept 2 nights at Abel, his wife took us out and she showed us union building where Zuma our president lives. That afternoon there was no bible study but Karopo and his wife came to Abel’s house. I shared to them the gospel of John 13 I showed them that our fellowship is very important I use many scriptures and brother Karapo was blessed about that. 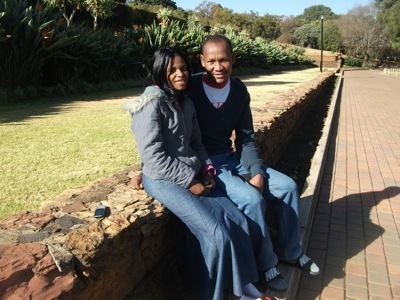 The next day, Abel’s wife took us into town to see the shops and my wife Thabi bought a wool cap and sleepers. Afternoon we went into the prayer meeting. Mujuru came he drove us to Clayton’s house. There we pray for different things like our brothers who are in prison because of Gods word and those persecuted in different ways, our brothers all over the world, our government, our families etc. Then Karopo drove us to his place we spend one night there. We wait for Kingsley and Karopo to finish work till 2.00 pm and Clayton went to fetch them in their working place to go into Mujuru’s house. We met there because the bible study was there. Clayton was leading we study the book of 1 Peter everyone was sharing. We enjoyed it so much visiting our brothers in christ makes me remember psalm 133 said How good and pleasant it is when brothers live together in unity. It is like precious oil poured on the head, running down on the beard, running down on Aarons beard, down upon the collar of his robes. It is as if the dew of Hermon were falling on Mount Zion. For there the lord bestows his blessing even life forever more. As we are really blessed to be with them I hope they too are really blessed to have us there. I thank God for this time and our brothers.